When InterDigital announced that Intel had agreed to buy 1,700 of its patents for $375 million in cash on June 18th some observers were uncertain as the meaning of the transaction. They automatically assumed there would be a clear winner and loser. 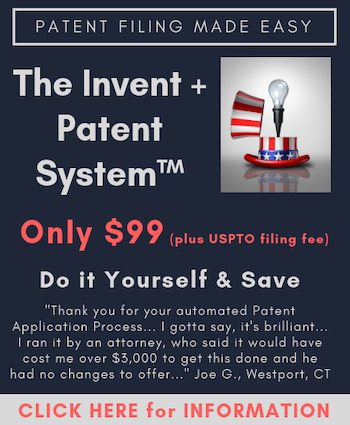 In the patent transaction world things are seldom that simple. The rights sold represent a sizeable fraction of InterDigital’s 20,000 worldwide patents and applications. The news sent InterDigital stock, which was at a 52-week low on June 11, jumping from roughly $23/share to more than $30/share, settling down to around $29 as the volume subsided. Stock trading publication Seeking Alpha said that the deal was a bad one for InterDigital. It was not. Nor was it a bad deal for Intel. Both firms will benefit significantly, short and long term. As is often the case with the financial community patent portfolio analysis, assumptions are made without the proper information or context. InterDigital likely had more than ample fire power and probably some portfolio redundancies. It is highly unlikely that InterDigital would sell 1,700 of the very best assets retaining only sub-par assets and leaving it little or no room to operate. It is too smart and far from that desperate. On the other hand, Intel is also known as a savvy buyer and would not have purchased assets which were not highly valuable to them. But, this is not about Intel. This is about InterDigital and the meaning of the sale, which not only depends on what was sold, but how the deal was structured. The beauty of IP sales is that they can be a win-win for both parties. That being said, there is no way for us to know that at this time the meaning the deal. Seeking Alpha is making irresponsible assumptions about InterDigital’s remaining value. InterDigital’s market capitalization prior to the sale was about $1 billion. After the transaction it rose to $1.3 billion. That some 30% increase in market cap was created directly by the sale. Not bad for selling a small portion of the company’s “hidden” assets. InterDigital loses little and gains cash which can be reinvested in aggregating new assets and create new lines of licensing business for InterDigital. It also will be used to buy back $100 million worth of shares. Intel picks up solid and much desired 3G, LTE and 802.11 Wi-Fi patents at an average of just $220,000 per patent. This represents a 65%+ percent discount per patent to what Rockstar Consortium buyers paid for the Nortel patents, and Google paid for its 17,000 patents in its Motorola Mobility purchase. Whoever said that selling IP rights to unlock value is just for distressed companies have been proved wrong, again. There is more to the story: While what Seeking Alpha published was poorly researched and lacked depth. It did what most on Wall Street would do – sought to affect the trade. That is what Wall Street is well versed in. Reaching a conclusion on information that supports volatility that can be exploited in a trade. There are very few investments with as much asymmetrical information inefficiencies as there is with patents. Patents are cloudy and ethereal to the typical investor. Even the most sophisticated investors (let alone IP transaction professionals) have little chance of understanding the true and full impact of a meaningful accumulation in IP leverage (Rockstar) let alone factor in the true risk/benefits of smaller divestitures (InterDigital) and court decisions. The game played with the InterDigital stock has been played out many times before in the marketplace. It is all about the trade’s impact on share price. In my own small way I and others have served to help educate Wall Street about the nature of IP assets and value. There is broad agreement that Wall Street has arrived in IP transaction circles. The question now is whether Wall Street will ever truly understand and help foster IP as an asset class, or whether it even really cares to. For many in the financial community, IP rights are merely a means to the end. The IP Professional community must find ways to work with Wall Street to help educate and protect the credibility of IP as an emerging asset class, and not allow IP assets to become cannon fodder for deals or the investment “flavor of the month.” The InterDigital-Intel deal can be viewed as call to arms. Wall Street will ultimately choose to enlist or not credible transaction analysis. In most trades there are winners, and sometimes losers. Smart IP bankers will choose to do the homework and not be so quick to determine who, in fact, the beneficial parties are. Given the inefficiencies inherent in the patent marketplace, it is quite possible for a liquidity event like a patent transaction to have multiple winners. Reminding the financial community of this will not be easy.